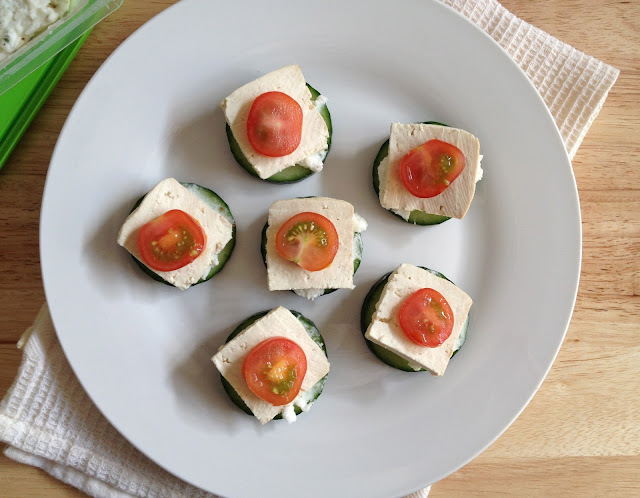 I've got a new recipe for today, that I came up with last week, its a nice light canapé perfect for summer parties or a snack or even a light dinner during the heat. Its very simple to make and only contains a few ingredients, its kind of a vegan version of the classic salmon & cream cheese canapés. Ooh forgot to mention its also Gluten Free, which most of my recipes are since I am pretty sensitive to the Gluten! 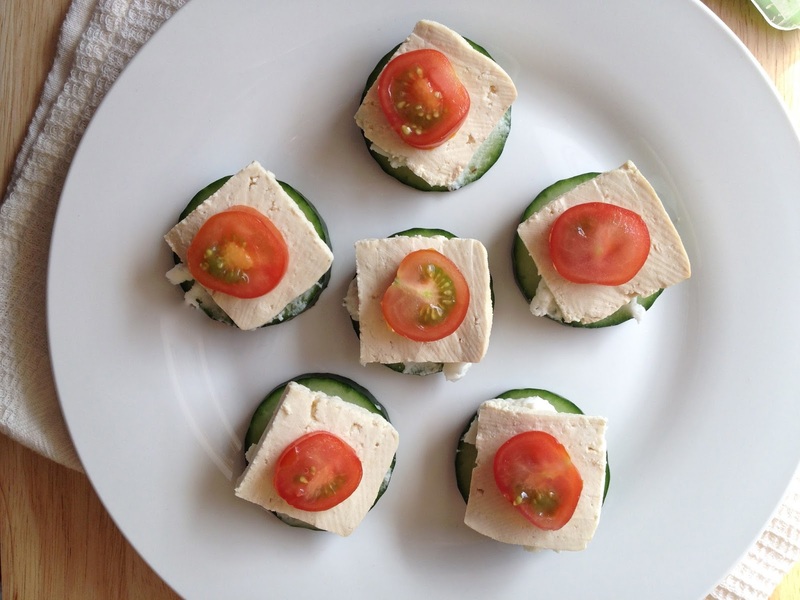 Vegan cream cheese (I used one from the brand violife) I don't think its the tastiest vegan cream cheese, however its the only one they currently stock in the UK so someone needs to get on creating a better one! Smoked Tofu (I used from the brand Tofoo which by the way is the best I've tried, its also Organic, which you definitely want to look for when purchasing Tofu, since the GMO versions can be harmful to the health! Black pepper & chives (or any other herb of choice) I mixed mine in with the vegan cream cheese to add more flavour. Hope you liked this lil recipe and try it for yourself! more posts and recipe's to come I update weekly! Looks simple and delicious! I only recently gave up dairy and been missing cheese!